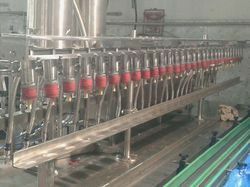 Leading Manufacturer of filling machines, semi auto filling machine, linear filling machine, auto filling machine and liquor filling machine from Ghaziabad. 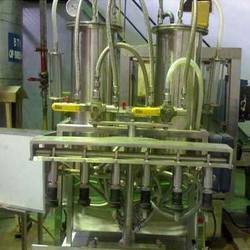 With thorough understanding of the relevant industry, we are offering a wide range of Filling Machines that is used in pharma, beverage and chemical industries. This machine is designed and manufactured using best quality raw-material and advanced technology. In tune with different needs of our copious clients, we customize the entire range in various sizes and other related specifications. Our offered range has gained exceptional value amongst our clients for its defined features. 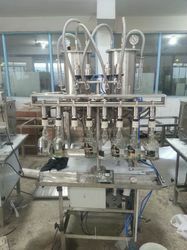 By keeping track with the market development, we are offering optimum quality Semi Auto Filling Machine that is mainly used in pharma industry. Our offered machine is widely appreciated by our prestigious clients for its precise design and high quality. Provided machine can also be availed in various sizes, designs and other related specifications. The machine offered by us is manufactured by a team of our skilled professionals utilizing quality approved components and advanced technology. As per the variegated requirements of our clients, we are offering a broad collection of Linear Filling Machine that is used in chemical, food & beverage, pharmaceutical and other industries. This machine is manufactured using exceptional quality components and latest technology by our skilled professionals. In order to ensure quality, this machine is stringently tested on various parameters by our experts. Apart from this, remarkable quality and sturdy structure increase the demand of our offered range in the market. We have emerged as a leading organization, engaged in offering superior quality Auto Filling Machine. 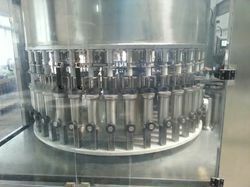 This machine is used for bottle filling with various liquids and ingredients in different industries. Being a quality-oriented firm, we assure our clients that this machine is the best in quality. Our deft professionals only utilize fine quality components, while manufacturing the entire range. Moreover, our offered range can be availed in a wide range of models and other related specifications as per the requirements of our esteemed clients. 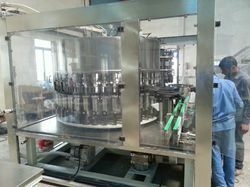 We are eminent in manufacturing a sophisticated range of Liquor Filling Machine, which is technologically more advanced than its counterparts in the respective industry. The advanced mechanism and latest designs of our range enable it to fill different kinds of liquids. We offer our range of liquid filling machines in various specifications to suit the varied requirements of clients.